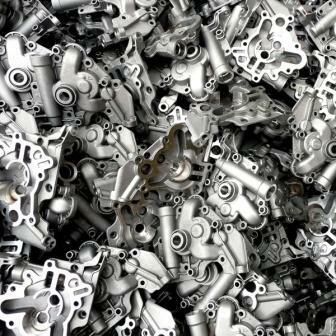 In many sectors of industry, cast aluminum is increasingly replacing components made of gray cast iron, cast sintering or cast steel. G.W.P. has followed this trend for a while, especially in the areas of machine and plant construction. G.W.P. 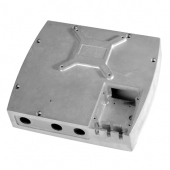 has been successfully manufacturing aluminum components for the machine construction industry for many years. The advantages of cast aluminum are especially relevant in lightweight construction. Frequently, substantial savings can be achieved in addition to functional improvements through new aluminum alloys and the new possibilities of optimized construction (optimized topology, bionics, flow simulation). Lightweight construction with bionically-fabricated components is particularly advantageous for cast parts since the extra expenditure only arises from mold construction and not the cast individual part. 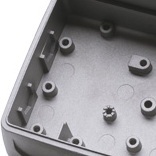 Cast aluminum parts thereby offer high dimensional accuracy and strength and are easy to process. The good electrical conductivity for EMC screening of electrical components and the very high heat conductivity for cooling fins, etc. make aluminum a popular material in machine building and plant construction. The favorable weather resistance makes cast aluminum suitable for every part used out of doors. The most important argument for using components of aluminum instead of cast iron is that aluminum parts weigh two-thirds less. Heavy parts are always expensive, especially moving parts. The substitution of cast iron with cast aluminum is quite advanced in fast-paced industries as well as vehicle and airplane construction. In conservative industries such as machine and equipment construction, cost-reduction potential is frequently unexploited. G.W.P. 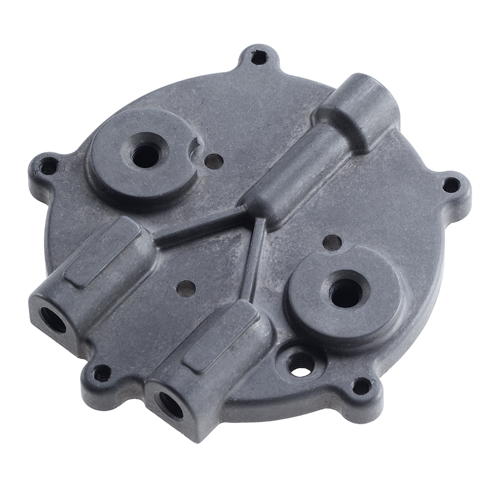 manufactures cast aluminum parts by means of diecasting, gravity diecasting and low-pressure diecasting. G.W.P. AG combines technological expertise with branch experience in specific industries of your customers, and offers production-optimizing consultation before manufacturing starts. G.W.P. operates a production plant for parts fabricated according to drawings in Zhongshan, China and can offer competitive prices even for small batches by economically manufacturing cast aluminum parts in China. Particularly in the manufacture of small to medium-sized batches for the construction of special machines, this determines the feasibility of a project. The chemical composition and mechanical properties of aluminum cast alloys are standardized in DIN EN 1706.